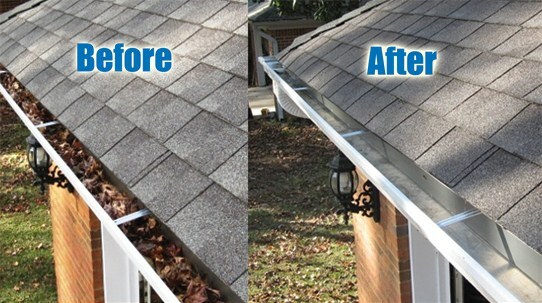 For the top gutter cleaning company in Lugoff, South Carolina, go with the pro — go with Clean Finish! Clean Finish is the area’s leading provider of gutter cleaning and pressure washing services, with a service area spanning from Columbia to Lugoff. That wide service area coupled with our unbeatable professionalism, sophisticated, state-of-the-art equipment, and dedication to our customers is what truly sets us apart from our competitors and earns us our reputation as Lugoff’s best. Debris Removal – Hand removal of all debris clogging your gutters — including sticks, twigs, leaves, and sediment. All of this debris must be removed of it can damage your gutters or worse. Downspout Cleaning – Cleaning of the gutter’s downspouts is critical to maintaining proper water flow throughout your entire drainage system. System Flush – After we are finished with the debris removal and downspout cleaning, we do a completely flush of your gutter system with water to ensure that your system is flowing and working correctly. We also offer Gutter Brightening services to remove black streaks of mold from your gutters exterior and brighten them up to give your home a bright, fresh look. We also offer power washing, roof cleaning, concrete cleaning, and a variety of other exterior cleaning services to give your building’s outside a rejuvenated, clean new appearance. Just as us when you call and we would be more than happy to assist you. Call Clean Finish today for a FREE quote on our Lugoff gutter cleaning services — call us at 803-229- or email us at west@clean-finish.com.